Dual purpose lever lock and striker hardware is perfect for locking both table leaves and table halves, ensuring quick and easy table setups. Mechanism does not align table. Best for tables that have alignment pins. Base plate Dimensions: 2-1/4" x 2-9/16"
Repair leaf on dinning room table. The table lock is working well, It was easy to install and we would recommend to all who need this type of product. Have a handmade dining table that we love, but the leaves kept separating. These table locks worked perfectly to solve the problem. I needed a replacement latch for a solid oak table with extensions that is over thirty years old. 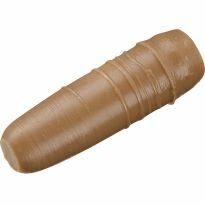 I found it on Rockler's site. It was a perfect match and I feel lucky to have found one. The price was reasonable, the quality first rate and shipping was fast. I would definitely shop here again. Well made. The spring-loaded cam lever provides more hold than I expected. Looks good. It took a little time set the tension just right, but they work great. Great product, it worked great. Glad to know I can find them in the future if needed. Great lock to secure dining table! Works just like the explanation. Worked just fine. Didn't even have to drill new holes for it since they matched the holes for my old latch. Seems sturdy. 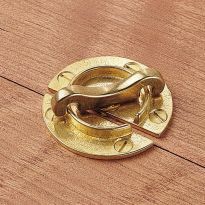 We were very fortunate to find the brass table lock to fit our 27 year old oak dining table. We decided to purchase 6 so we would have extras. Worked great, didn't even have to drill new holes to replace our old broken lock. Very happy with the product!! It was exactly what I needed and what I expected. All items exactly as needed for repairs. I know there are several different hole patterns out there, but on this unit, the latch holes were a perfect fit for my old latch and the holes on the catch piece were just a little wide, but I was able to angle the screws into the original holes and tighten the screws down flush. By using the same holes, the gap between the latch and the catch was a little wide, so, with pliers, I bent the catch away from the latch until I got the snug fit I wanted when the latch was pulled down into the lock position. This was a lot easier than drilling new holes, and since a template was not provided with the assembly, there is a chance I would have had to adjust the catch by bending it anyway. 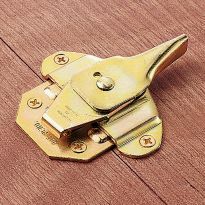 I am using this latch as a table leaf latch. If my other original latch breaks I will definitely buy another Rockler latch to replace it. 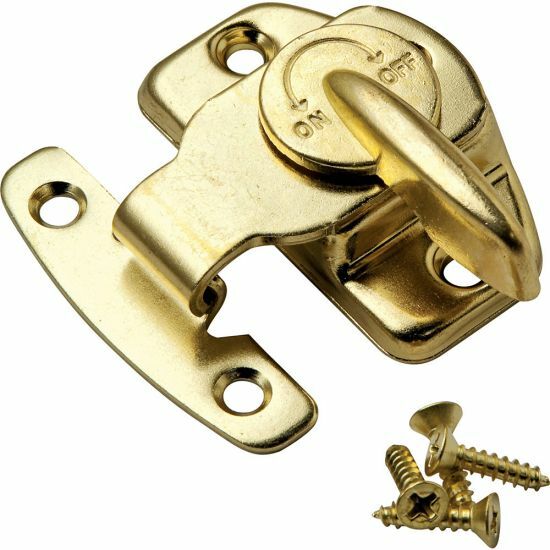 These are an exact match for other locks I have and they are of excellent quality. Do a super job of really pulling the two halves together and holding the securely. Great product, great price, great service. Highly recommend. Part was perfect for our table. The brass plated Table Locks have totally met my expectations. They do a great job and work perfectly. I had a special use for this product. The project was building portable hobby cases for the transport of delicate hobby equipment. To be more specific model railroad locomotives to be transported from home to a club. The product has worked out great for me and my friends. Well pleased with the locks. The nice sturdy locks worked well and were easy to install on my wooden table. Thanks for making good directions to go by and making a good product. Just what I needed to fix my table leaf! This table lock appears better built than the one that came with the 20 year old table. I look forward to another 20 years of service from it - I am sure it will outlive the table or me! Used for a custom built hobby case. Works smooth and accurate for this special function. Excellent replacement part for original table lock. Works great. Easy to order, works great. Worked like a champ.... Be on spot with your drill holes and you will have a tight joint on the table..
Definitely a four and a half or five star. Careful marking of screw holes and a good locking tension design pulls a dining room table together tightly and holds it snug w/o any problem. Nicely made, an exact match to the ones already on my table. I like the simplicity and sturdiness of these table locks. Other brands are formed sheet metal, difficult to lock, too many moving parts and not very well made. Make sure that the two mating surfaces of the two table halves are clean with no burrs or uneven paint, flat and square. block sand with a 90 deg gig if necessary. Since I did not have a way to pull the two halves of the table snugly together, I piolet drilled three of the four holes leaving one hole on the locking side undrilled. After attaching and latching the lock, I planted an ice pick in the far side of the fourth hole and used it to pry the table halves together. After a couple of tries, I found the ideal center of the 4th piolet hole when the leaves were snug with the ice pick vertical. I then twisted the icepick into the table to mark the position of the 4th piolet hole and drove in the fourth screw for a perfect fit. Rockler should provide a 90 deg template marking the position of the pilot holes from the mating surface. It was the closest replacement to the broken ones on the table now. It appears to resemble most closely the broken hardware on my 44-year old Drexel dining-room table. Hopefully, I'm right! Thank you. It’s matches exactly what I’m looking for. This was a close match to the locks currently installed on my dining table, one of which was broken, so I ordered one of these as a replacement. However, I liked it so well that I ordered five more to replace all the locks on the table. Rebuilding old table that had these locks already on part of the table...others were missing but I want to have only one type of locking device. 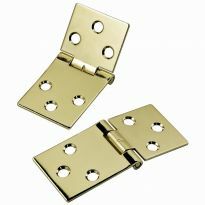 My table fasteners rusted and one broke off so I ordered these to replace them. I'm building another crib and all of the items in this order are for this crib. This the 4th one that I have made for my grand children. To keep a new table from opening. Old dining room table that has openings when leaves are in. Some of the old latches stopped working. To secure antique claw foot table in which the base splits to expand. Previous latches broke over time. This lock fitted my dining room table. It worked beautiful as the old one broke. I purchased 3 more just to be on the safe side. Building a small dining room table with leaves and needed these to complete the project. Appears to be a strong latch with wide base. Excellent reviews. LOOKS LIKE IT MAY WORK ON MY DINNING ROOM TABLE. A simple solution that allows me to discard what Palettes sent to the furniture store to install on what should have been installed on the new table in the first place. 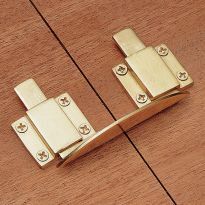 THIS IS AN EXACT REPLACEMENT LOCK FOR MY DINNING ROOM TABLE WITH A LEAF ADDITION. size seems to fit the ones we have. Are there any existing CAD models of this hardware? Hi, does this lock have any adjustment if it needs to be pulled in or out depending if it is locking too tight or loose causing gap in table leaf? This lock requires no adjustment if properly installed. Could someone please tell me the mounting hole spacing? BEST ANSWER: You can either do as Rick C did or you can make your own template. 1. Draw three parallel lines spacing 1/2 inch between the top line and the middle line and 13/16 inch between the second (middle) line to the bottom line. 2. The top line is for the catch. Drill two 1/8 inch holes (centered on the template) 1 1/2 inch apart. 3. The middle line is the center line to be positioned between the two table leaves. 4. The bottom line is for the latch. Drill two 1/8 inch holes (centered on the template) 1 3/4 inch apart. I made my template out of thick cardboard. Thin plywood would also work very well. Does the table lock come in a nickel finish?